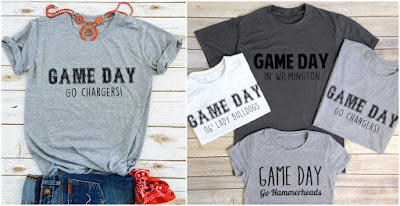 Jane has these custom Game Day tees available today for just $13.99. You choose your style and then customize with your favorite Game Day teams. There are sizes available for both youth and adults. Shipping runs $3.99 for your first shirt and $2.79 for each additional tee. Sale ends Thursday, August 3rd.